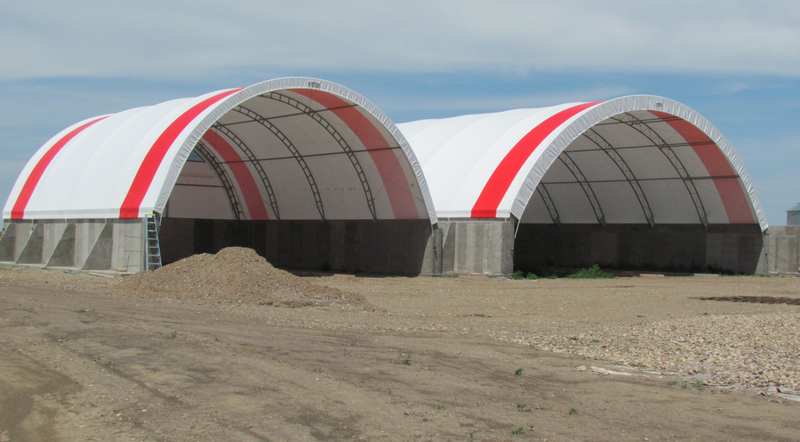 Rush-Co manufactures a complete line of fabric-covered metal-framed structures in widths from 30-feet on up to hundreds of feet in length. All our buildings are designed for easy installation resulting in lower construction costs and a clear open span with no internal columns. Rushmore Buildings are an ideal way to protect virtually anything from damaging sun, severe weather and external threats. Our extensive selection means you’ll find the right size and shape for everything from livestock and equipment to commodities and personal property. In addition to our precisely fitted fabric covers, all connecting hardware and metal components are zinc-plated to resist corrosion and extend component life. The Rushmore building’s mechanical ratchets offer the most secure hold down system available. Combined with our industry leading warranty it easy to see why people who insist on dependability won’t settle for anything but a Rushmore.